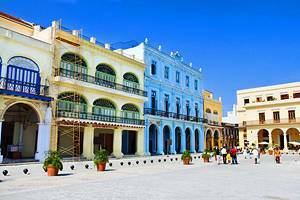 Cuba combines beautiful beaches with colonial cities and historic sites, making it a popular destination for visitors who want a cultural experience in addition to a sun and sand holiday. 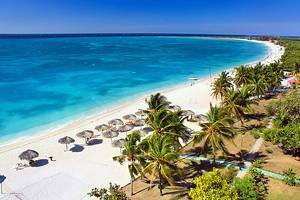 There is no doubt that Cuba has some of the best beaches in the Caribbean, with comfortable seaside resorts to accommodate visitors. 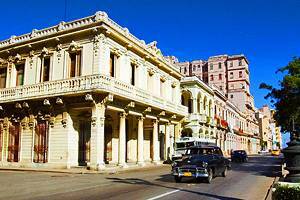 It is also home to the historic city of Havana and many other noteworthy cities with impressive colonial architecture. 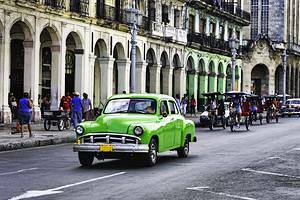 Havana is the capital city, cultural, historical, and political center of Cuba, and one city that should not be overlooked by travelers. Walking through the streets of Old Havana, a UNESCO World Heritage Site, reveals a glimpse of the days of old in this country. The Plaza de Armas has long been a central gathering place for the city, and still offers a pleasant environment to linger, with shady benches and surrounding restaurants, cafes, and Baroque architecture. To learn more about the area stop in at the Museo de la Ciudad (City Museum) located in the Palacio de los Capitanes. 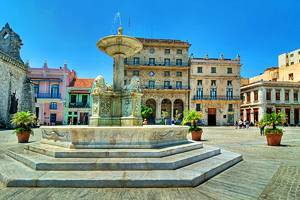 Other attractions in Old Havana include the Cathedral, built in the mid-1700s, the rediscovered mid-16th Century Plaza Vieja, and the 19th C Palacio de Aldama. Beyond Old Havana there are numerous other important historical sites. 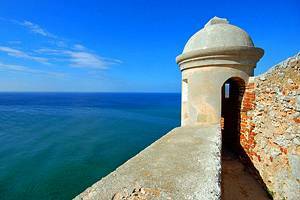 The Castillo del Morro, guarding the Bay of Havana, dates to the late 16th C and offers excellent views over Havana and the surroundings. Fortaleza de San Carlos de la Cabana, the largest Spanish fort ever built at the time of construction, was used by the Spanish, the British, and in the more recent past, by Batista, and Che Guevara who used it as his headquarters after the Revolution. Finally, the Plaza de Revolucion with a memorial to Jose Marti is another prominent tourist attraction. 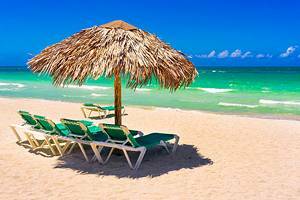 Scattered around the country are the beach resort destinations at the heart of Cuban tourism. Not far from Havana is Varadero. A postcard quality stretch of beach along the Peninsula de Hicacos is home to dozens of hotels and resorts that cater exclusively to foreigners. This is not the place to come to experience Cuban culture, but visitors can do excursions from here to Havana. Other famous resort areas include Cayo Coco, beaches near Holguin, and Cayo Santa Maria near Santa Clara. All of these offer incredible white sand beaches with turquoise waters that will not disappoint vacationers. Independent travelers who want to see some of the country should consider a drive through the scenic Valle de Vinales and the Parque Nacional Vinales in the Pinar del Rio Province. This area is characterized by limestone hills known as mogotes, and is a recognized UNESCO Biosphere Reserve. To see some of the country's best colonial architecture and historical city centers head to the cities of Camaguey, Trinidad, or Santiago de Cuba, all of which have centers or buildings which are designated UNESCO World Heritage Sites. These are also the areas where visitors have a chance to see the local way of life and experience a bit of Cuban culture.